Did you know that your Commissary Rewards Card is a gateway to significant savings – especially when you come to MyMilitarySavings.com? As the #1 military shopper website, our mission is to provide military members and their families with quick access to coupons, discounts, and other special deals that represent significant savings. We understand the sacrifices military families make in the service to their country, and making it easy to save is our way to give back and ensure that military families around the globe are able to serve, save, and enjoy. Pick up a rewards card at various locations on base. Visit MyMilitarySavings.com and join – it’s easy and membership is free! Head over to the Coupons page and click on the “Visit Commissary Rewards” link, which will take you to DeCA’s website where you can instantly register your card. Once you’ve done that, you are ready to start saving with your Commissary Rewards Card. 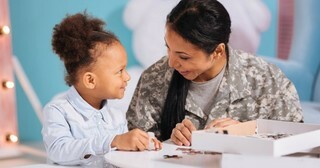 But joining MyMilitarySavings.com offers more than just significant savings through the use of your Commissary Rewards Card– it also offers an instant community of individuals who understand what it’s like to stand in your shoes and live with the same challenges you face on a daily basis. Our members share tips, advice, recipes, and other valuable information that you will find useful. We even have active Facebook and Pinterest pages! For more information about saving at your local commissary, visit our sign-up page at MyMilitarySavings.com and join for free.